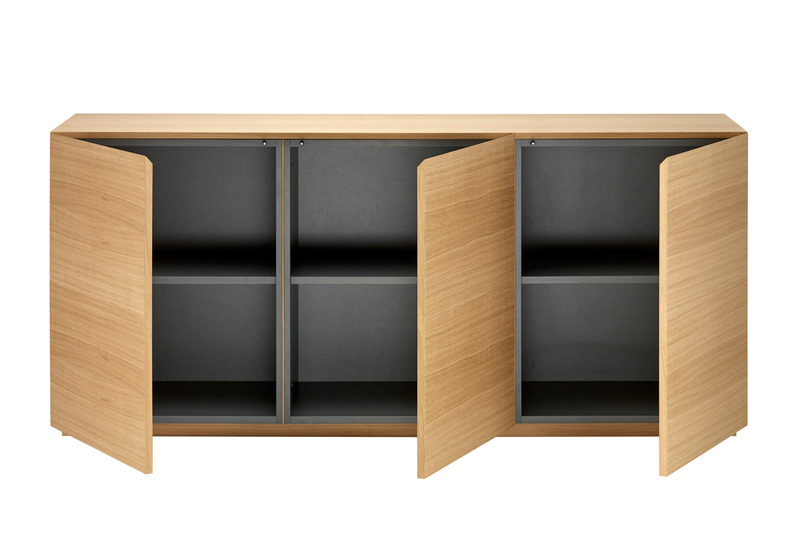 Cabinet body faced with graphite grey melamine inside. 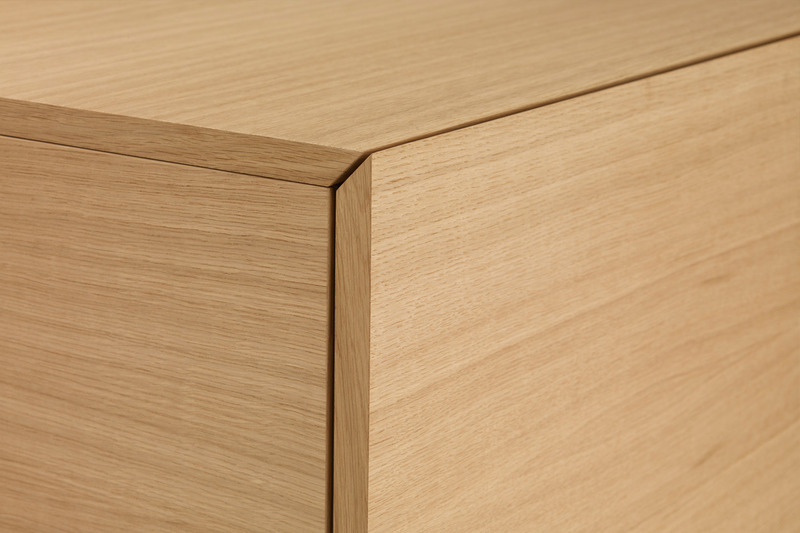 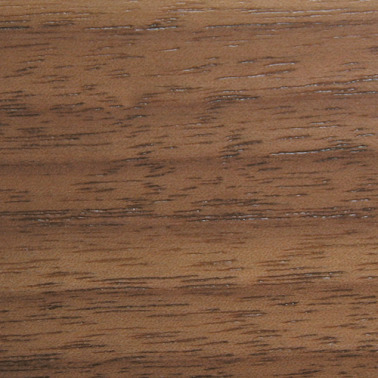 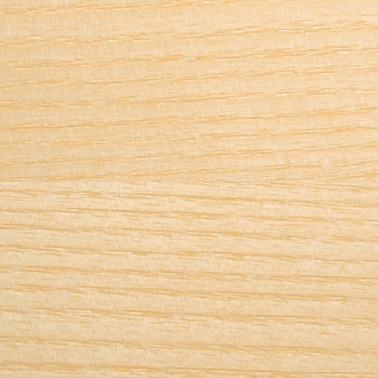 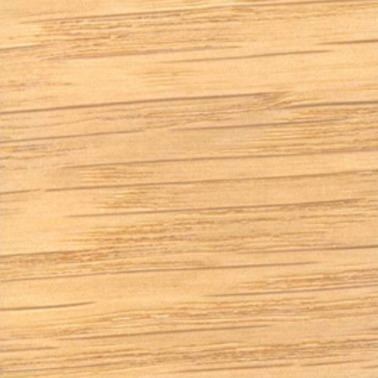 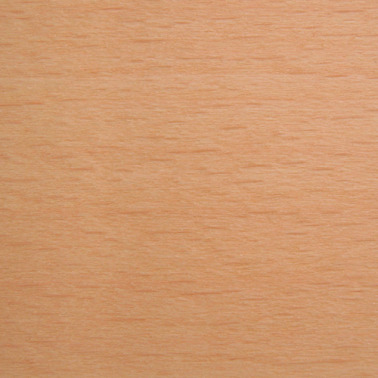 Wooden surfaces veneered with oak, ash, beech or walnut and protected with an environmentally friendly lacquer. 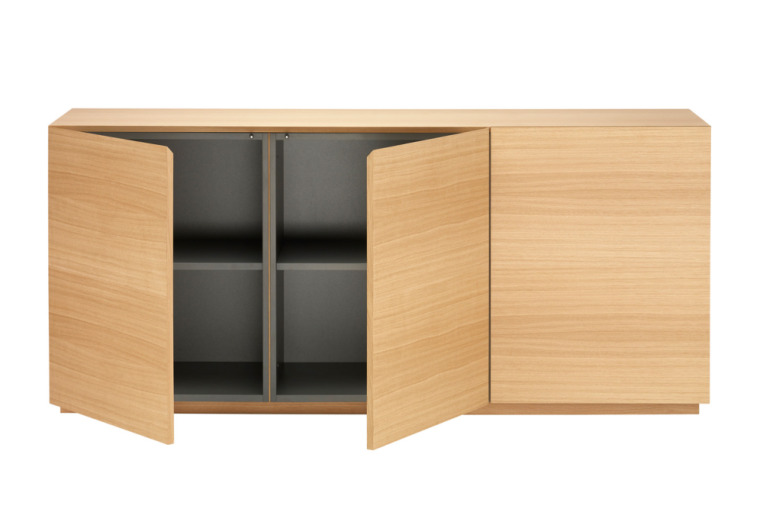 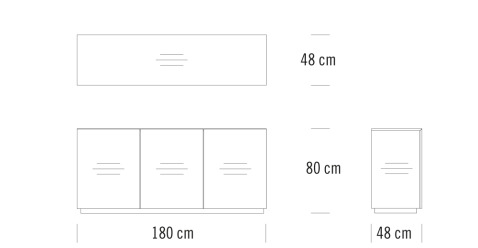 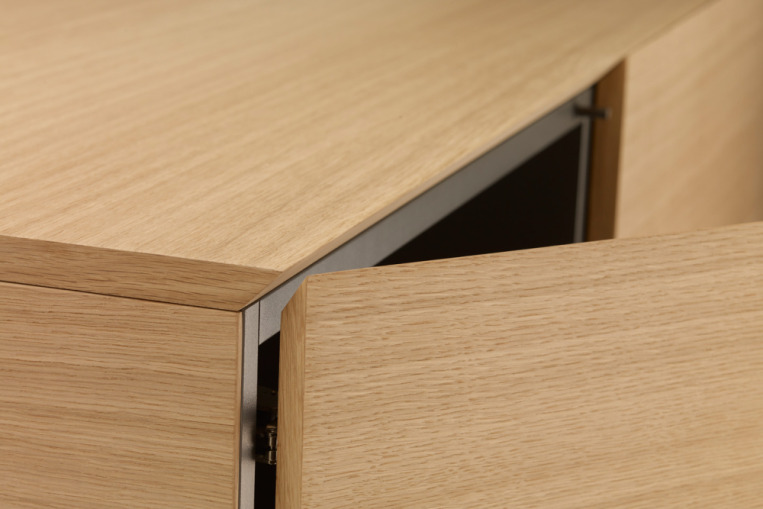 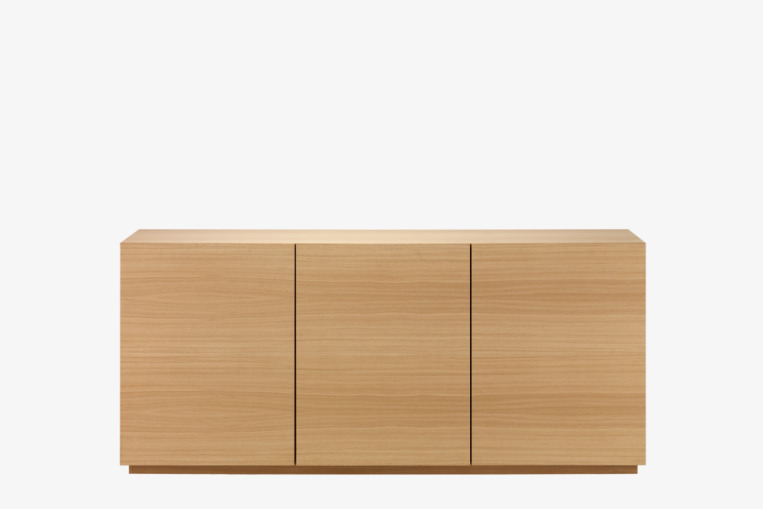 The sideboard is compatible with the Gebrüder T 1819 table systems.